A-t-on seulement 5 batiments opérationnels aujourd'hui? 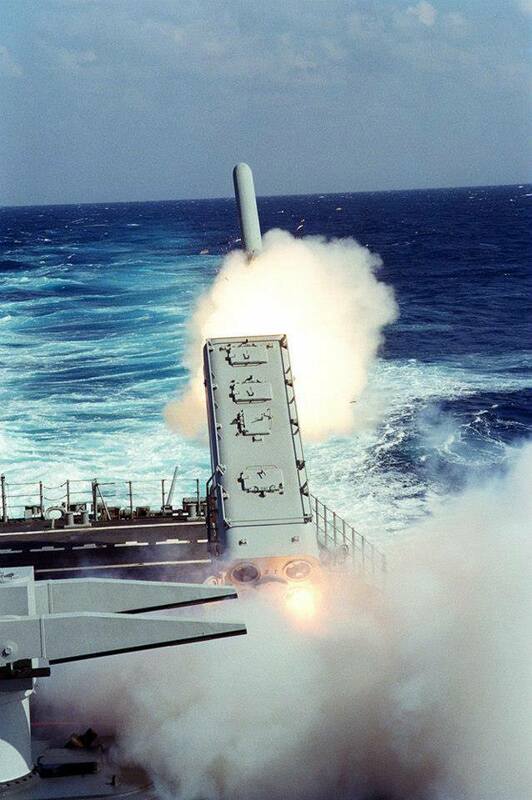 A BGM-109 Tomahawk Land-Attack Missile (TLAM) is launched toward a target in Iraq from the port side Mark 143 Armored Box Launcher (ABL) on the stern of the nuclear-powered guided missile cruiser USS Mississippi (CGN 40) during Operation Desert Storm. 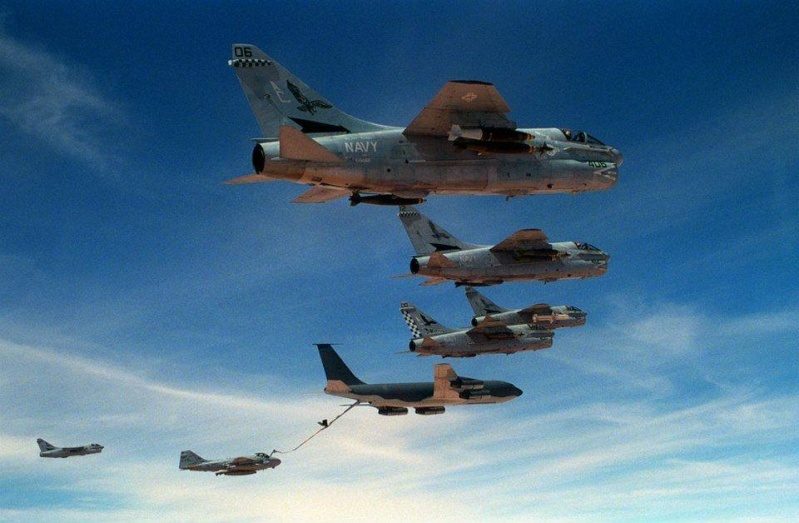 While en route from the aircraft carrier USS John F. Kennedy (CV 67) to targets in Iraq and Kuwait during Operation Desert Storm, five A-7E Corsair aircraft from Attack Squadron 72 (VA-72) and an A-6E Intruder aircraft from Attack Squadron 75 (VA-75) rendezvous with a KC-135E Stratotanker aircraft for in-flight refueling. 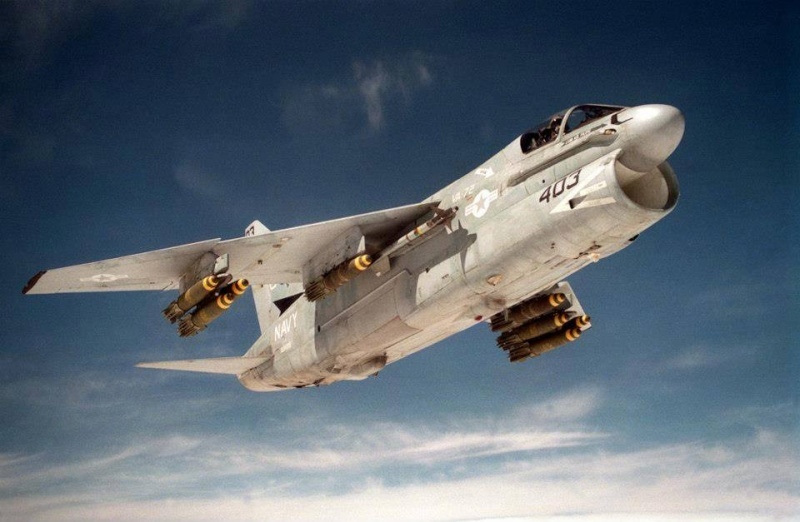 The A-7E aircraft third from the top is carrying AGM-88 HARM high-speed anti-radiation missiles; the others carry Mark 83 1000-pound bombs and AIM-9 Sidewinder missiles. 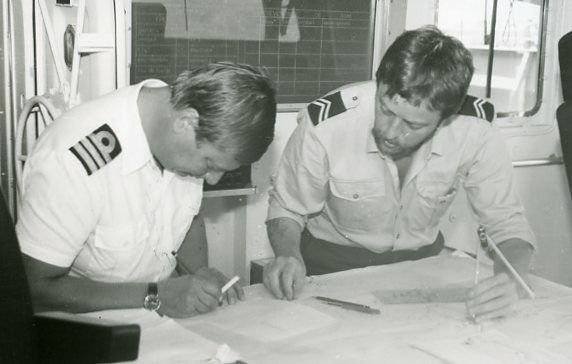 Ten ships of Task Force 155 gather during Operation Desert Storm. 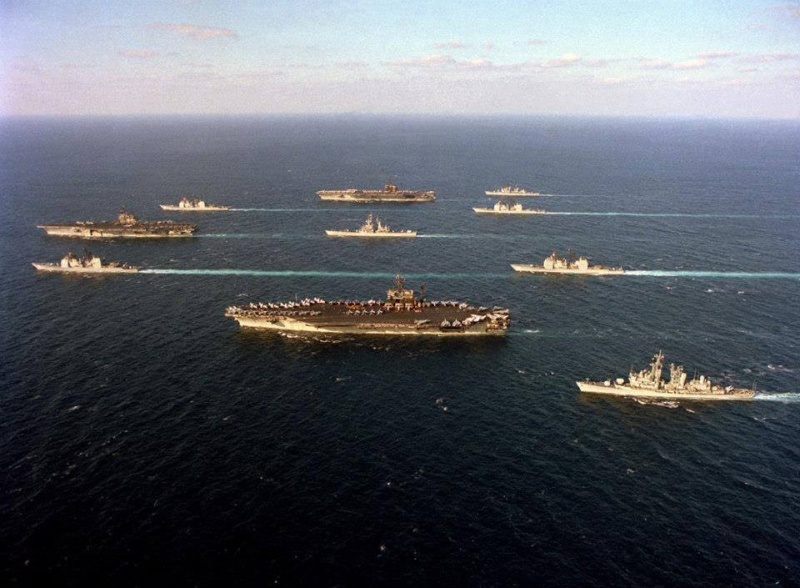 Leading the formation at left is the aircraft carrier USS Saratoga (CV 60), flanked by the guided missile cruisers USS San Jacinto (CG 56), top, and USS Thomas S. Gates (CG 51). At center is the nuclear-powered guided missile cruiser USS Mississippi (CGN 40) flanked by the aircraft carriers USS America (CV 66), top, and USS John F. Kennedy (CV 67). At rear are, from top, the guided missile destroyer USS Preble (DDG 46), the guided missile cruisers USS Philippine Sea (CG 58) and USS Normandy (CG 60) and the guided missile destroyer USS William V. Pratt (DDG 44).